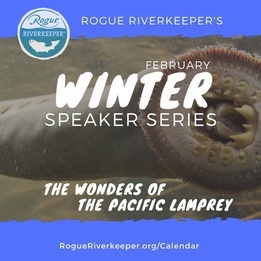 Join us for the second in our Winter Speaker Series where we will learn about the wonders of the Pacific Lamprey! Dr. Stewart Reid, the region's expert on Lamprey, will talk about this fascinating species and their importance to our local rivers and ecology. Stewart has spent years studying the species and is a dynamic speaker who has an obvious passion for this misunderstood fish. Join us for drinks and light snacks at 5:30. Presentations will begin at 6PM to be followed by a Q&A afterward. This event is free and we recommend folks order food and drinks to support The Haul and their support for our mission. Our speaker series events are designed to educate and inform on subjects pertinent to our local waterways. 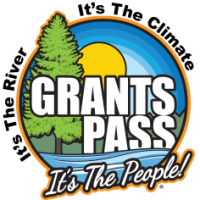 All events are free to the public, in a casual setting, and a great way to learn more about the Rogue Basin.